Securing your firearm is supposed to keep it out of the wrong hands - you know, like your kids. So you're probably not going to be satisfied with something a child could open. 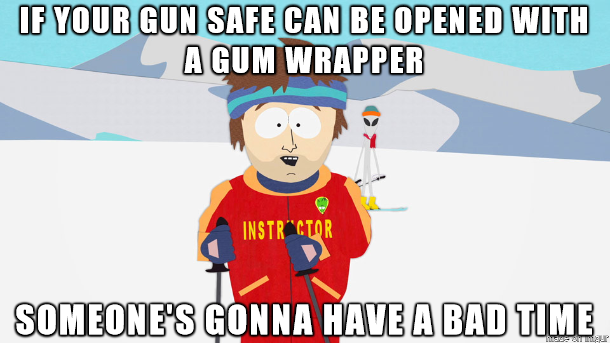 GunVault, SVB 500: Opened With A Gum Wrapper from Handgun Safe Research on Vimeo.